The intensive Masterclass will focus on how we can rebalance our immune system so we can cope with homeopathic remedies ie how to go through treatment without aggravations, how to make the mitochondria healthy again and how to build up our adenosine triphosphate (our energy levels). Examples can be the treatment of a variety of present-day complex diseases, such as Guillain-Barré syndrome, glandular fever (mononucleosis), MS and ALS (Fabaceae), thyroid conditions including Hashimoto’s, ADHD, OCD, dementia (Ranunculaceae), cardiovascular problems (Rosaceae), multiple organ failure and diabetes including Type 2. 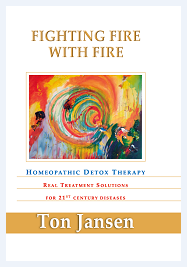 This will include discussion of treatment protocols, using both Ton’s detox formulae and a wide variety of materia medica, much of it unfamiliar plant and tree remedies from his new materia medica book and new sarcodes to help restore balance. http://humanchemistry.eu/ on the home page, bottom right, before attendance, so that you understand the basic principles of HDT as this knowledge will be assumed in the Masterclass. Please contact thesophiaschooloffice@gmail.com so we can guarantee your place on the course.